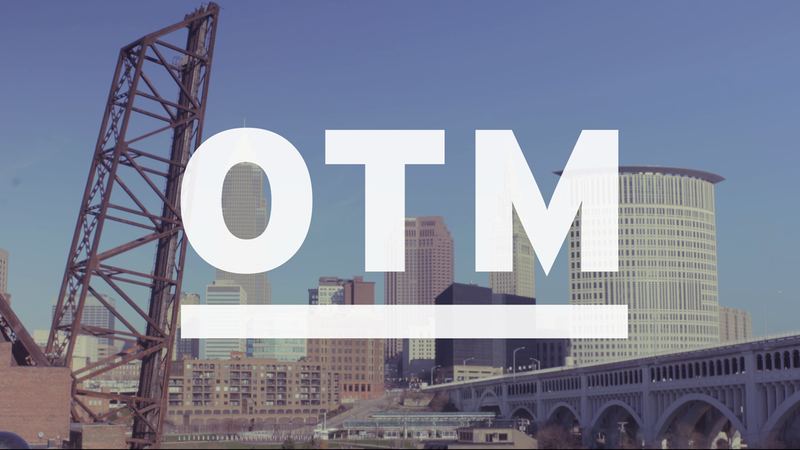 Go Media's original video series featuring the unique people and places of Cleveland Ohio. 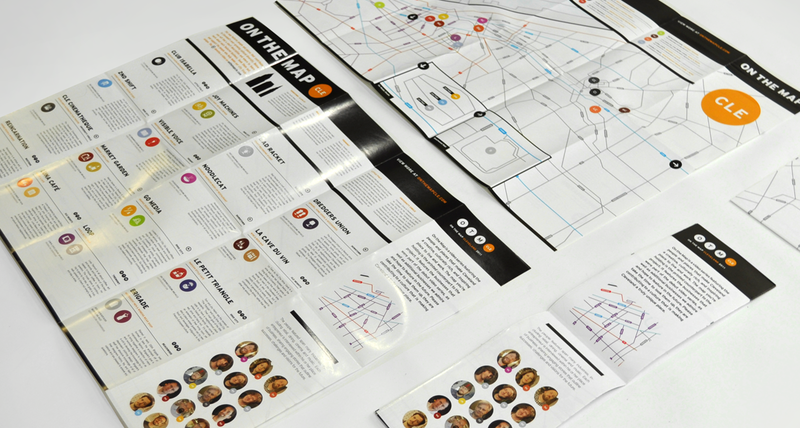 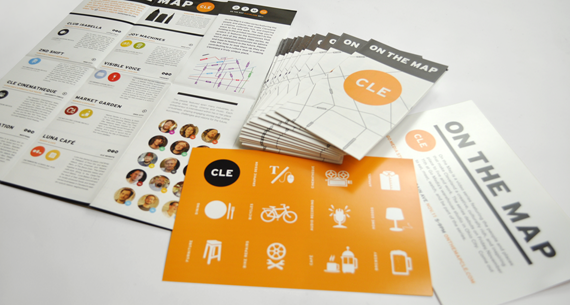 Among the printed materials were flyers, a full size map/brochure, window clings, and an over-sized map banner. 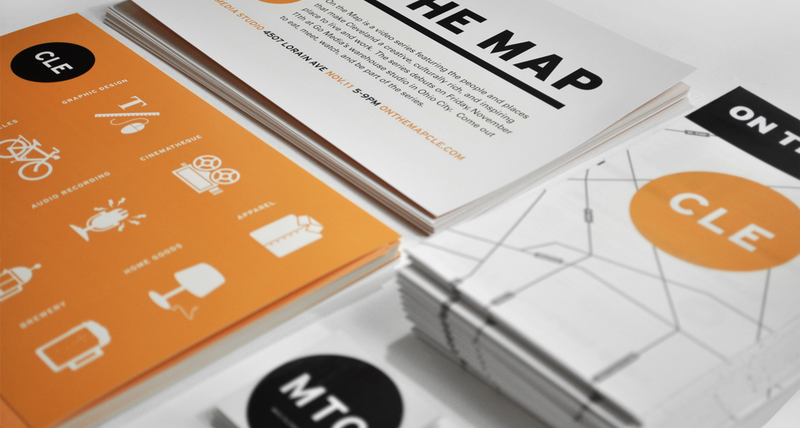 The idea being, the visitors walk away with a fold-able map that has the featured videos location and brief description, a window cling that can put in there home or business’ window, and an opportunity to place a sticker showing their location on the map banner which spans an entire 8’x15′ wall in the studio. 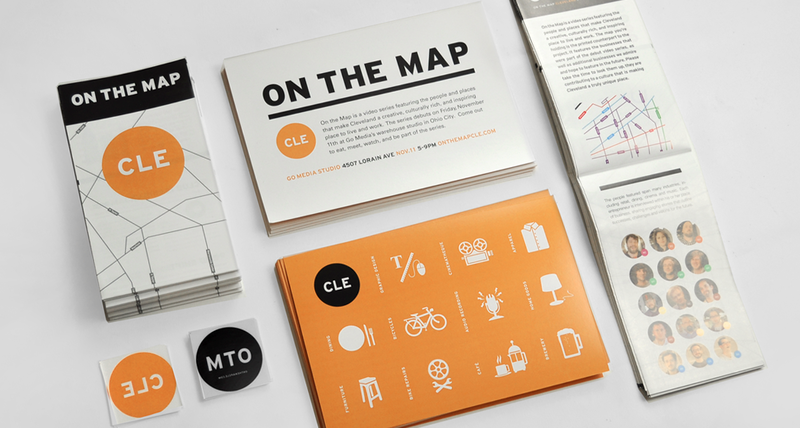 These pieces paired with the site featuring all of the videos and a customized Google map with up to date locations has created a unique and rich source of information for discovering Cleveland’s burgeoning entrepreneurs, artists, and hot-spots. 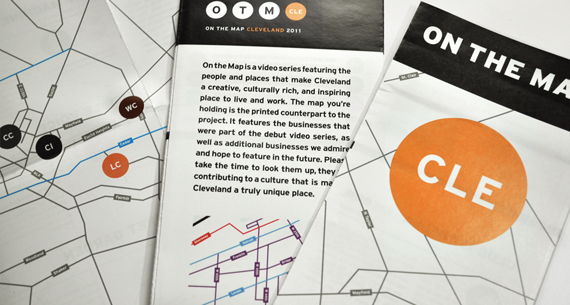 Each video has a unique graphic that visually categorizes their varied offerings.